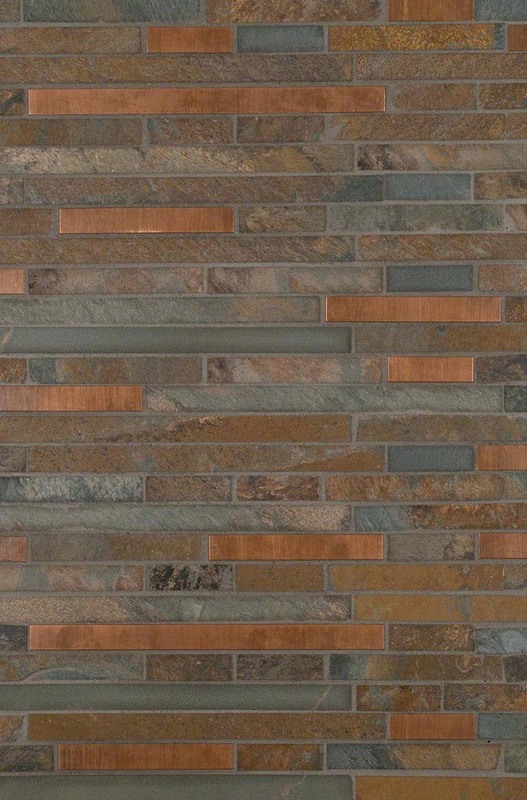 Bold, dramatic, and earthy, this tile backsplash design is anchored by our Rustic Creek Interlocking backsplash tile. This beautiful tile is crafted from California Gold Slate and Metal tiles that complement each other perfectly. As a bathroom backsplash, or backsplash kitchen tile installation this design will lend a rustic, yet refined backdrop to any room.